Banneker City’s goal is to help our children learn healthy competition, sportsmanship, work ethic, teamwork, conditioning and muscle-memory fundamentals through our national pastime, and provide a progressive continuum of that education from Tee-Ball all the way up through Prep, in a healthy, safe and encouraging baseball culture. Founded in 2010 by Howard University Alumni, Supreme H. Aquil and Will F. Ticer—both Southern California natives. They felt that too many D.C. youth were not enjoying or even had the chance to experience America’s national pastime that had factored so heavily in their childhood and development. In 2010, they embarked to create a venue for kids to have the opportunity to play and learn the sport of baseball. Banneker City began with 2 teams and blossomed to over a dozen teams in less than a year. 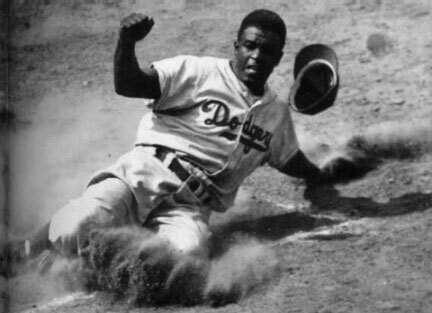 Banneker City regularly honors Jackie Robinson--who was a member of the founder’s grandfather’s Cub Scout Troop in Pasadena, CA--and is steeped in Dodger lore for their groundbreaking efforts in diversifying baseball so that all could participate and compete in America’s national pastime. Major League Baseball and its players honor the late great Jackie Robinson annually by wearing his signature number 42, which has been retired league wide, in April during Jackie Robinson Day. Click here to see Banneker City on Jackie Robinson Day 2011. Banneker City takes its name from the great architect who designed the Nation’s capitol, Benjamin Banneker, thus, Banneker City.